My name is David Medendorp and I have been in the real estate business for over 30 years. I am a West Michigan native and I know most all there is to know about buying and selling property in Muskegon and around the Lakeshore. If you're planning to sell your home in the next few months, this FREE service is designed to help establish your property current market value. Simply choose [Market Analysis] and fill out the requested information. We will use comparable sold listings to help you calculate the fair market value of your property. Automatically receive personalized MLS listings by e-mail. Each day we will search the local MLS and find the homes that match your criteria and notify you immediately with the latest listing information!! Simply choose [Dream Home Finder] and fill in the requested information. Or, search for yourself at [Search For Homes]. I like to help people and I would like to help you with finding houses for sale in Muskegon. We specialize in representing our clients in the purchases and sales of single-family residences and Investment properties within the greater Muskegon Area. David is married to his beautiful wife, Erin. They have four children who are the light of their lives: Paige, Riley, Chandler and Brooke. David has grown up and lived in The Muskegon area his whole life. David established Medendorp Real Estate Group in 1997. He has been in the real estate business since 1987 and has earned numerous awards for top sales and closings He joined Exit reality of Muskegon July of 2006. David is an active member of the community. He is involved in several organizations, including the Muskegon Area Jaycees, Muskegon Chamber of Commerce, Lakeshore Community Church, the Christian Businessman's Club, and The Resting Place Ministries. David has an extensive knowledge of the market place, financing, and has successfully closed many complicated deals. 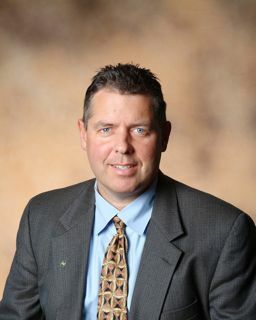 In 1999 David recieved his CCIM designation. A certified Commerical Investment Member (CCIM) is a recognized professional in commercial real estate brokerage, leasing asset management, valuation, and investment analysis. The CCIM designation represents the finest education in real estate. Some say David has the most formal Real Estate education in Muskegon county. David Medendorp sells a lot of homes, Waterfont homes, land, and investment real estate every month!